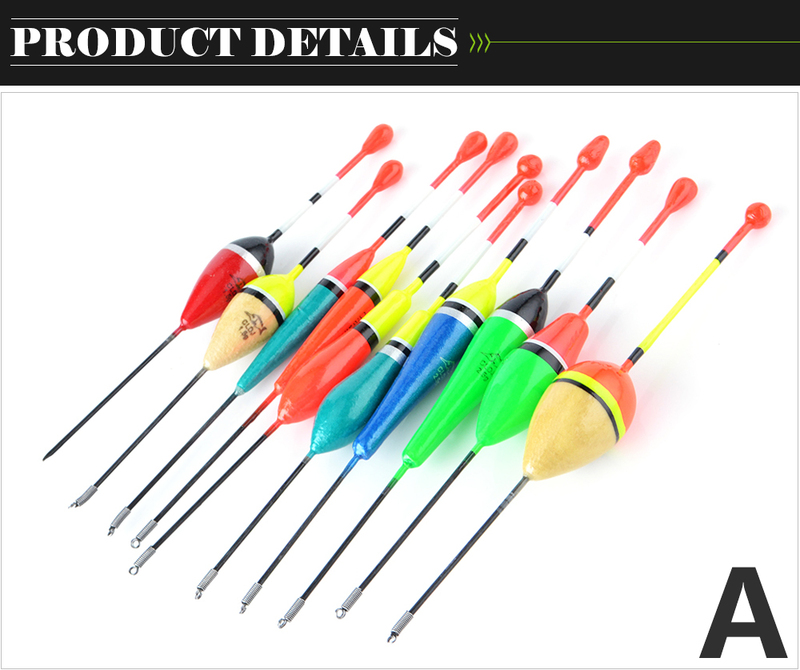 10 pcs of Quality Tested fishing floats. Fishing Floats has always been a great way to catch many species of fish, whether in lakes, rivers of bait fish for deep sea species. They give you control if you fish around debris, reeds, grass and other obstacles. They allow you to "suspend" your bait over areas that will be impossible with other kinds of rigging, like boulders, fallen trees and any other obstacles. We created a nice combo deal with a creative set of different sizes and colors of the best sold single fishing floats. We made a bulk purchase direct from the factory on this products to enable us to put together this discounted deal.